The late August heat is blazing and with that comes the risk of heatstroke in children, especially in hot cars! More than 800 children have died from heatstroke in hot cars since 1990, according to Kids and Cars, a nonprofit focused on children’s safety. Although you may think it will never happen to you, accidents can happen. Continue reading to learn 4 tools that will save your child if he/she is accidentally left in the car. 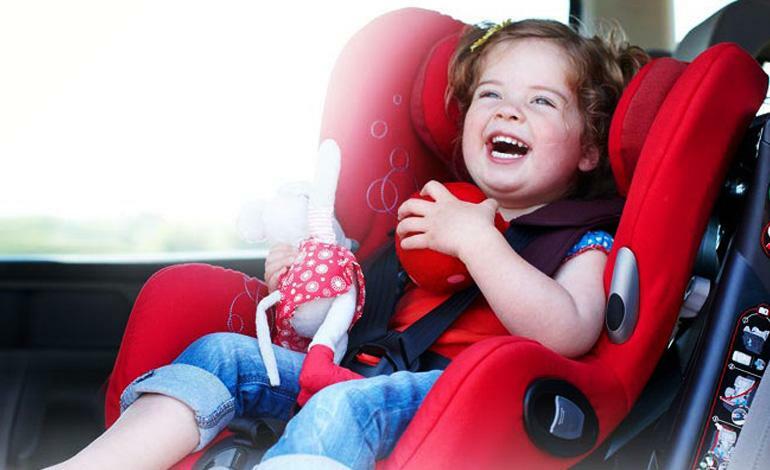 Sensorsafe is a technology found in some car seats from the brand Evenflo. There is a receiver that goes into your car’s diagnostics port, a socket located inside a vehicle that accesses various vehicle subsystems where small receivers can be installed to tap into a car’s computer system. That receiver communicates with the car seat’s smart chest clip – letting the driver know through a series of chimes whether a child is still in the seat after the car is turned off. This feature in some GM cars uses back door sensors that become activated when either the rear door is opened or closed within 10 minutes of the vehicle being started, or while the vehicle is running. Under these circumstances, when you reach your destination a reminder appears on the dashboard as well as an audible chime notification that says “Rear Seat Reminder, Look In Rear Seat”. This is a sensor system sold at several major retailers that can be put in a car seat. The sensor goes under the car seat padding where the child sits. The sensor is then attached to a battery pack and synced with an app. You can set when you want the app to send you notifications after you stop the car. You can set the interval for when you receive the notification — the fastest being a minute. A popular traffic app, has a setting that will remind a driver to check his or her back seat when a destination entered into the app is reached. But it won’t alert a driver during an impromptu stop. Experts say an important thing to remember when using app-based alerts is to make sure your cellphone is charged. Here at Dallas Lease Returns, we hope this never happens to you or your family! Take precautions, try out the above tools! You never know when it could happen to you and one of the above items may just save your child’s life! It’s almost time to send the kiddos back to school, have they had a good summer? If not, don’t worry! We have you covered at Dallas Lease Returns! We want to make sure you and your family have a great ending to the Summer holiday. Continue reading to learn some fun, family-friendly things you can do in Dallas before it’s too late! It’s no secret that Texas summers are hot and Dallas is no exception. Some of the best summer activities in Dallas deal with water: sliding down thrilling water slides, floating with the kids on lazy rivers or hitting the wave pool at the city’s best water park, Hurricane Harbor. Avoid the tourist crowds (and expensive entrance fees) by hitting up the large public pool operated by the Fraternal Order of Eagles, complete with a playground, sand volleyball, a restaurant and not one, but two bars. For a more nature-themed water experience, hit up one of the Metroplex’s many lakes or rivers. Kayaking on the Trinity River or White Rock Lake is the perfect way to beat the sun. 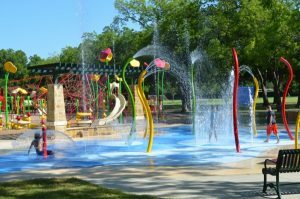 Or for a more traditional lake experience, spend a day fishing, laying out on the beach or camping at Lake Lewisville, between the suburbs of Frisco and Denton. Even better, take a boat out on the water to tube or water ski. Forget “Netflix and chill” during Dallas summers – just catch a free outdoor movie. The Granada Theater hosts free movie nights every Wednesday on their rooftop. Films for 2018 include: Wonder Woman, The Big Lebowski, Clueless and Pulp Fiction. They also offer a special rooftop food-and-drink menu to enjoy while you watch a classic film. Summer in Dallas is the perfect time to visit the city’s most engaging adventure parks and attractions. There’s Six Flags Over Texas in Arlington, filled with thrilling roller coasters and rides for visitors of all ages. Plus, it’s the original Six Flags amusement park, making it a must-visit for any theme park fan. The Dallas World Aquarium, in downtown’s West End, features a diverse set of exhibits and talks, though the highlight is ogling over otters, crocodiles, sharks and penguins. In south Dallas, visitors can discover the largest and oldest zoo in Texas, complete with gorillas, cheetahs and a wide array of other exhibits. Be sure to check out their summer concert series, Safari Nights, for live music, drinks, food trucks and special animal programs. Whatever you decide, just have a great time with your family! Enjoy the rest of the Summer, everyone! Do you have any other ideas? Drop them in the comments below!